With gas prices remaining very low, the 3 row SUV has made its way back into American driveways in droves. For families, the three row SUV offers a comfortable cabin that can accommodate kids and their friends, significant cargo room, and entertainment and safety features that will provide peace of mind for any parent. But, if you are the market for a 3 row SUV you have probably noticed that there are number of pretenders and only a few real contenders. Far too many of these so-called 3-row SUVs lack the actual capacity to transport an actual full-sized human being. So, in an effort to help educate and inform, in this article we will take a closer look at the most spacious, comfortable, and affordable 3 row SUVs on the market in 2018. 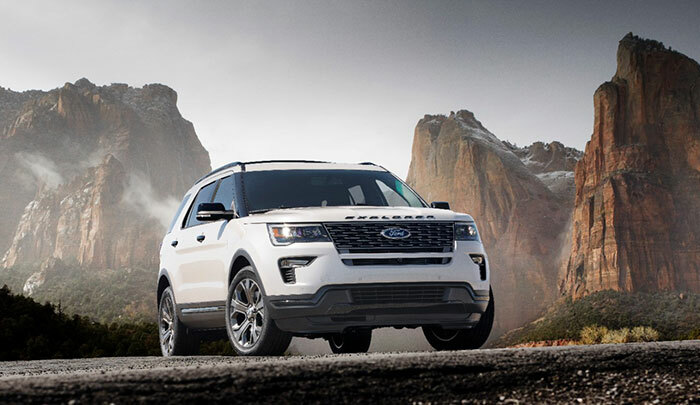 The Ford Explorer is one of the most popular mid-size SUVs on the market today. In fact, it led the mid-size segment last year and has been as segment leader for quite some time. It is no surprise why the Explorer has been so popular. The Explorer has a relatively affordable price-point, provides drivers with a stylish, traditional SUV, and comes in a variety of trim levels from your base level to mid-level XLT to the powerful Sport trim and the luxurious Limited. For all of the Explorer’s benefits; however, it does come with some costs. Most notably, the Explorer is not the most accommodating 3 row SUV. It comes with just 81.7 cubic feet of cargo room. The second-row bench split is a sixty forty split but the second row does not slide. That leaves passengers in the third row wanting for more room. The Chevy Tahoe is also an extremely popular SUV. 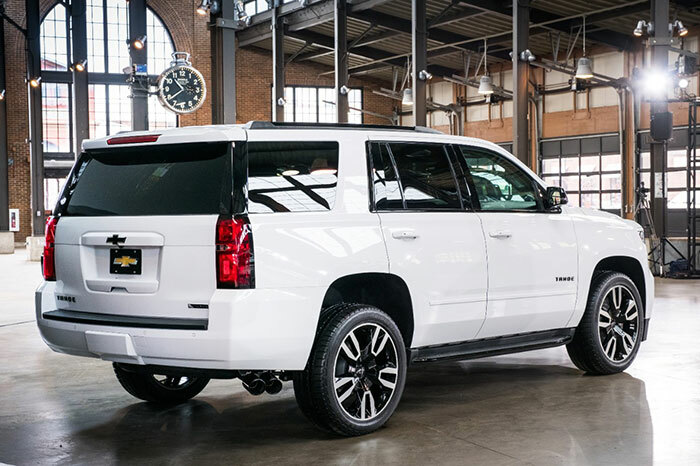 The Tahoe is really a full-size SUV with seating for up to 8 passengers. The Tahoe is extremely comfortable with plenty of cabin space and maneuverability. It comes with all of the latest safety technology and with the entertainment package kids will have rear seat DVD as well as 4G LTE WiFi to connect any mobile devices. That certainly helps to make longer car rides a breeze. The Tahoe comes in the LS, LT, and Premier trim levels. While the Tahoe is certainly a great family options and has an impressive 94.7 cubic feet of space, the biggest drawback for the Tahoe is the pricepoint. With a base MSRP of over $47k, that is a serious price to swallow. But hey, nothing good ever comes cheap, right? The brand new 2018 Chevy Traverse has certainly been receiving a lot of attention lately and rightfully so. GM has done a full redesign of the mid-size SUV, making it lighter, more fuel efficient, more powerful and more technologically advanced. The Traverse is a true mid-size SUV that offers enough space for third row passengers. With 98.2 cubic feet of cargo room, the Traverse offers best in class 3rd row leg room providing comfortable seating for up to 8 full-size adults. 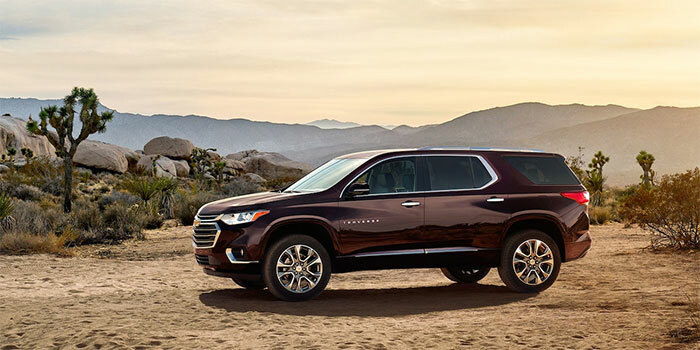 The New Chevy Traverse Lease Deals are also incredibly impressive and offer families an affordable transportation option. The Toyota Highlander is another popular option. It was actually the #3 best-selling mid-size SUV last year behind the Ford Explorer and the Jeep Grand Cherokee. The Highlander offers a comfortable interior with an impressively high-quality fit and finish which may surprise some drivers. That being said, the interior gets a bit cramped when the third road is used. The Highlander only clocks in at 83.7 cubic feet of cargo room. In addition, the Highlander design could probably use a bit of an update. In conclusion, there are many 3 row SUVs on the market today. We provided a few popular options, but we only scratched the surface. When shopping for a new 3 Row SUV be sure to explore the vehicle and, yes, get into that 3rd row and see how it feels. You will be glad that you did.